Leaders from Government applaud BPW Canada's Efforts to Improve Conditions For All Women at the 2017 AGM held in Moncton, New Brunswick. Premier of Alberta Rachel Notley congratulates BPW Canada members in Calgary for their contributions as they celebrate the Centennial Year of Women's Suffrage during their 45th Biennial Convention. Ontario Premier, Kathleen Wynne, instructs the Provincial Minister of Labour to develop a wage gap strategy to close the gap between men and women. Click HERE to read more! NDP Leader Thomas Mulcair confirms his committment to equality for women, including pay equity. He assured BPW Canada that every piece of legislation is examined for its impact on women by the Women′s Caucus. Click on the letter to download it. 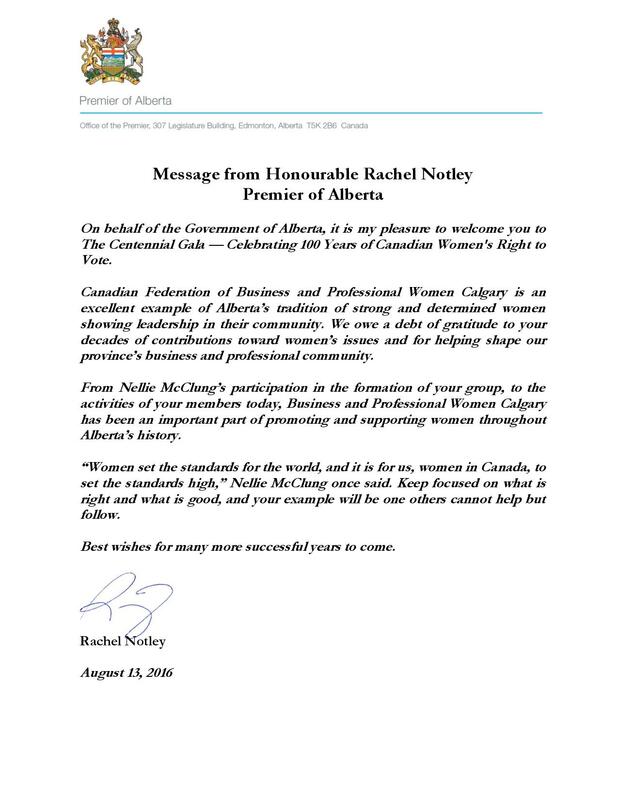 Click HERE to read Alberta's 16th Premier's message to BPW Canada acknowledging its efforts to improving conditions for working women across the country. ceremony just weeks before International Women's Day to celebrate Women's achievements and progress. During her keynote delivery, she stressed the importance of the work that still remains, including Equal Pay. BPW Canada's First Vice-President, Jenny Gulamani-Abdulla and Alberta Liaison, Dawn Nason, participated in the Women's Policy Development Workshop, hosted by the Liberal Party in Edmonton. It focused on Leadership, Economy and Security. The issue of Equal Pay was shared very passionately and it was clear that it was time to move from discussions to evaluating our existing policies. 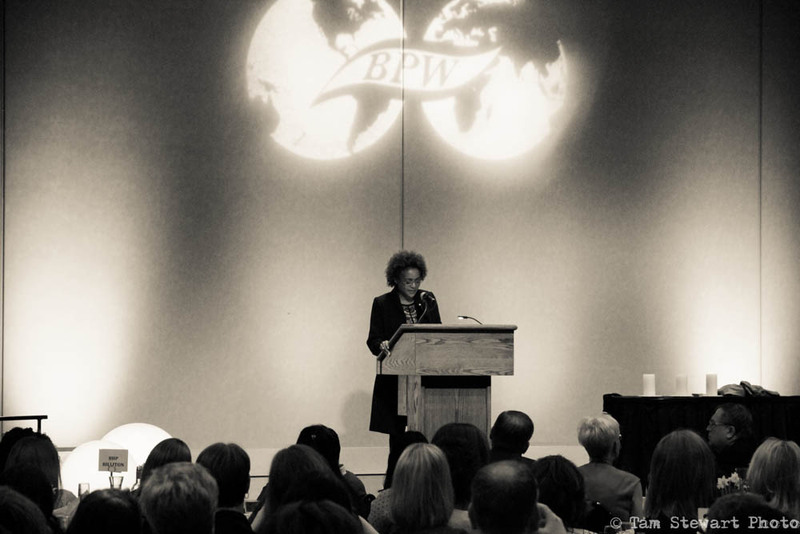 BPW Saskatoon's International Women's Day event with the 27th Governor General of Canada Michaelle Jean. BPW Calgary President with Dr. Kellie Leitch, Minsiter of Labour and Status of Women Canada at the Calgary Chamber of Commerce. The role labour plays in our economy, women in non-traditional roles, and the importance of mentorship were discussed. 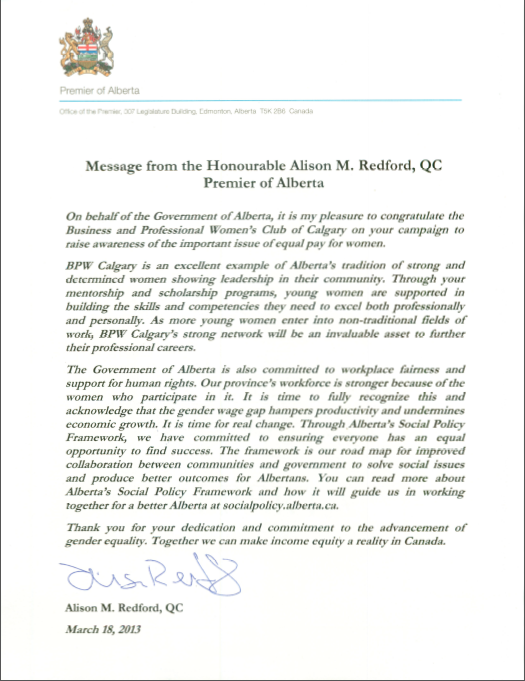 Premier of Alberta, the Honourable Alison M. Redford, sent a letter to BPW Calgary commending and supporting them in their efforts to raise awareness on the important issue of Equal Pay in Alberta. 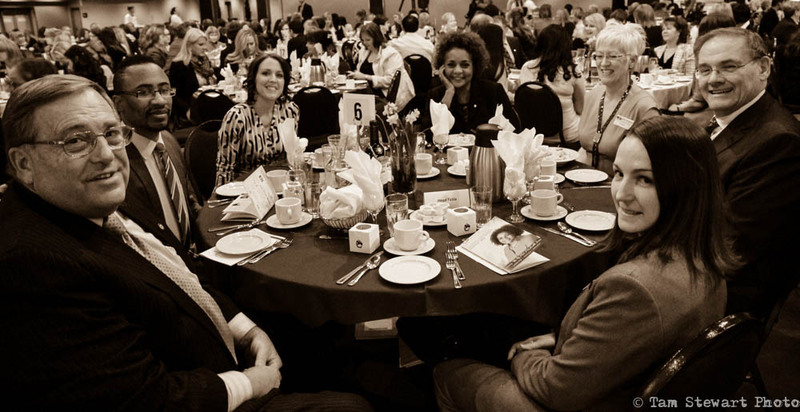 Naheed Nenshi, Mayor of Calgary, sent a letter to BPW Calgary recognizing March 18 as Equal Pay Day. The Honourable Rona Ambrose, Minister of Public Works and Services and Minister for Status of Women recognizes BPW Calgary's awareness launch on the World's First International Day of the Girl. BPW Canada President, Doris Hall met with MP, Ed Holder (C), London West ON-Status of Women Committee to discuss the BPW Canada Brief and the BPW Canada planned launch of the Women's Empowerment Principles. 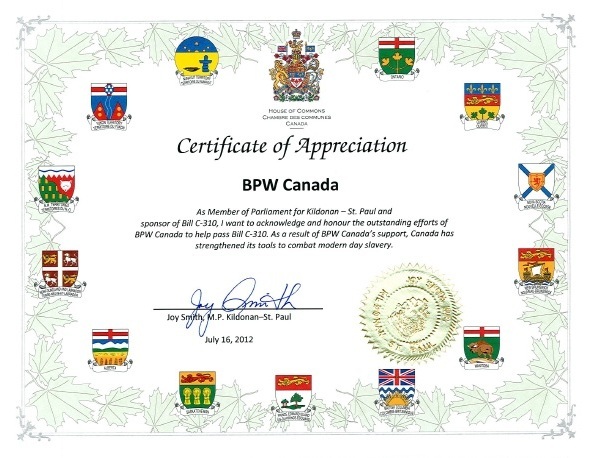 BPW Canada presented MP Joy Smith - Kilodan-St. Paul MB, (Health Committee and Women's Caucus - (C) with a commendation for her work to eradicate Human Trafficking. A meeting followed the presentation to discuss the resolutions carried at the BPW Canada AGM in Ottawa, Ontario in July 2011 and introduce the Women's Empowerment Principles. 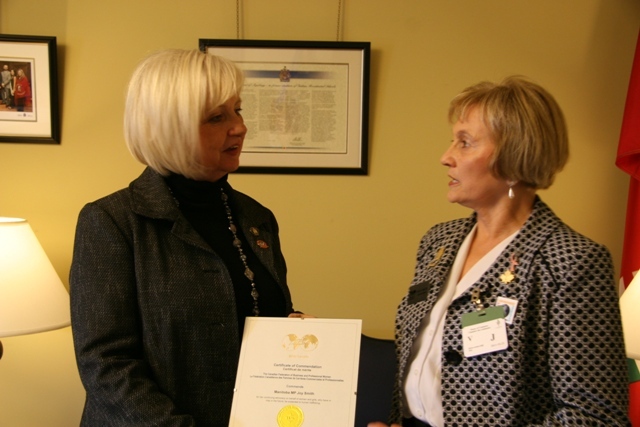 In September 2011 BPW Canada President, Doris Hall met with London North Centre ON, MP, Susan Truppe (C) Parliamentary Secretary to Minister Ambrose - Minister Public Works and Status of Women. 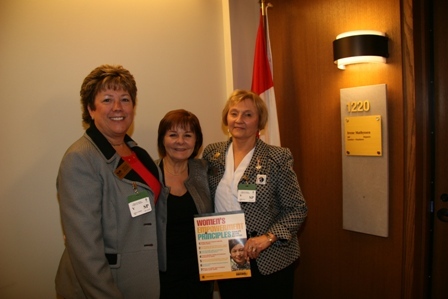 BPW South East met with MPP, Madeleine Dube, Minister of Health, at the Healthy Communities Fair October 26, 2011. BPW Canada Brief comprised of the resolutions carried by the membership at the June 2010 National Convention was presented to MP Irene Mathyssen (NDP) Critic - Status of Women and Seniors by President Doris Hall and National Secretary Sheila Crook. 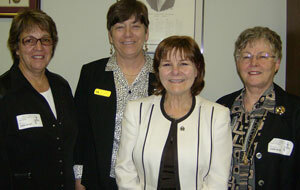 BPW Canada was invited to make a presentation to the Standing Committee on the Status of women on March 17, 2010. This all-party committees studies the issue of women and non-traditional jobs. 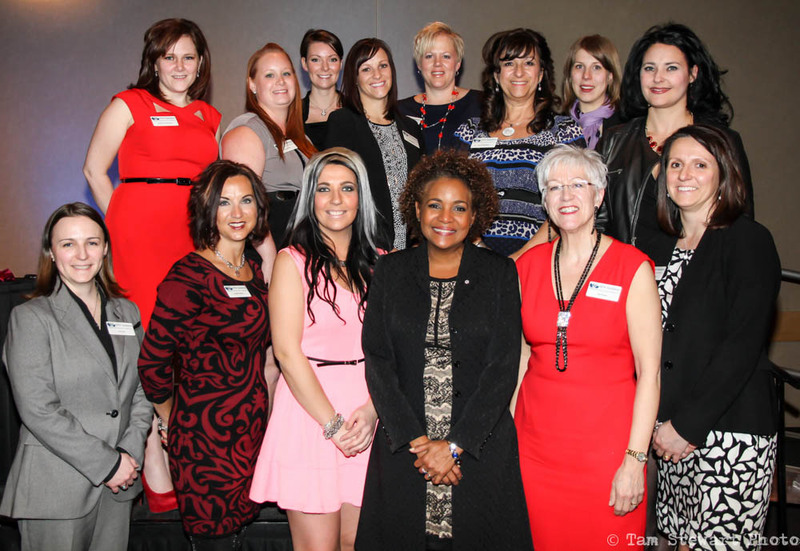 The presentation was made by video conference in Moncton by BPW Canada President Sue Calhoun. Read Sue’s presentation (pdf). Other presenters included Susan Russell from the Canadian Federation of University Women and Jacinthe Guay from Dimension Travail, a program for women and non-traditional jobs in Laval, QC. The full exchange is now available on the Standing Committee on the Status of Women Website. In February 2010, BPW Canada sent a letter to Prime Minister Stephen Harper, the three Opposition leaders and the media, calling on the government of Canada to act immediately to ensure that the Rights & Democracy committee remains an independent and non-partisan institution. Read the letter (pdf). In late January 2010, BPW Virtual club member Kathy Laing represented BPW Canada at a Special Forum on the 40th anniversary of the Royal Commission on the Status of Women in Ottawa, organized by the National Liberal Caucus. Read Kathy’s report (pdf). In November 2009, BPW Canada made a submission to the Committee for Public Safety and National Security regarding Bill C-391 (to abolish the national Gun Registry) and Gun Control. We opposed the abolition of the Gun Registry. Read the submission (pdf). L'Acadie Nouvelle 10-09-09 (jpg) The Professional Women's Club of South Eastern New Brunswick organizes a talk on coaching for women. In January 2010, the federal government changed the Employment Insurance legislation so that self-employed people can access special benefits, including maternity/parental benefits, sickness benefits and compassionate care benefits. This is something that BPW Canada has advocated for many years. To read more, click to this web link. 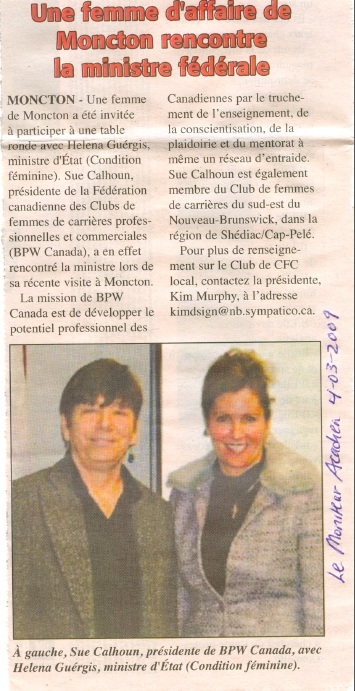 4-03-09 Le Moniteur Acadien (pdf) The President of BPW Canada met the Federal Minister. 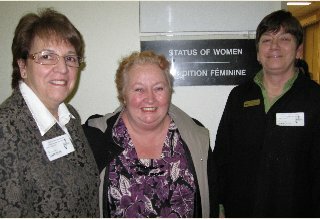 BPW Canada was invited to make a presentation to the Standing Committee on the Status of Women in late March 2009 in Ottawa. This all-party committee is studying the issue of Employment Insurance, and how the legislation impacts women in particular. In the photo on left, Joan Macklin, VP, BPW Canada; Niki Ashton, MP Churchill, member of the Committee and member of BPW Thompson MB; and Sue Calhoun, President, BPW Canada. 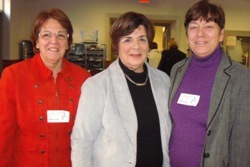 Photo on right, Mme Nicole Demers, MP Laval Québec and member of the Committee with Joan and Sue. Click to read the transcipt of the session. 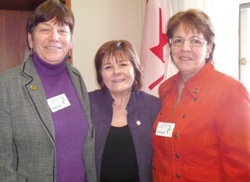 In February 2009, BPW Canada President Sue Calhoun and Vice-president Joan Macklin were in Ottawa to meet with Anita Neville (photo left), Liberal Critic for the Status of Women and Irene Mathyssen, NDP Critic for the Status of Women. 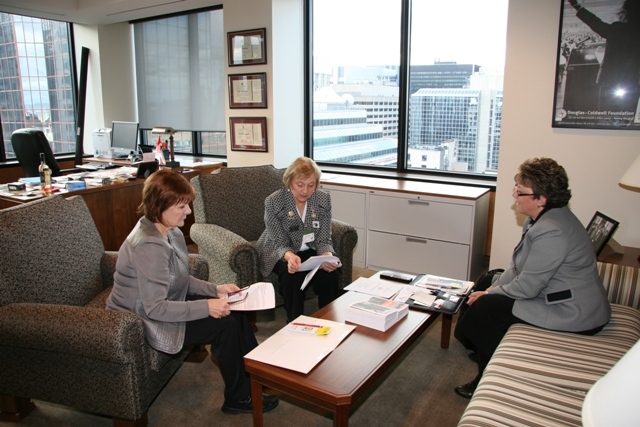 Sue and Joan presented both women with BPW Canada’s 2008 brief. In January 2009, BPW Canada was invited to participate in a Roundtable discussion with the Honourable Helena Guérgis, Minister of State (Status of Women). 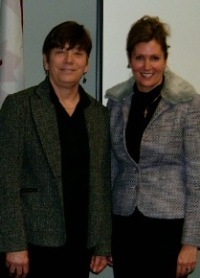 Ms Guérgis was in Moncton, NB to announcefunding for several projects. In the photo, left, Sue Calhoun,President of BPW Canada, with Ms Guérgis. 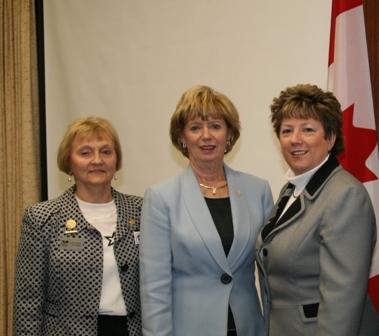 In May 2008, President Fran Donaldson, 1st Vice-president Sue Calhoun and Public Affairs Chair Joan Macklin were invited to Ottawa to meet with Mme Sylvie Boucher, Parliamentary Secretary to the Prime Minister and to the Minister for the Status of Women, and MP for Beauport-Limoilou. President Donaldson presented Mme Boucher with BPW Canada’s 2006 and 2007 briefs, and raised some BPW concerns such as the lack of an adequate and affordable national childcare program that meets the needs of Canadian families and the lack of access to EI maternity/parental benefits for business-owning and self-employed women. The BPW leaders took the opportunity, while in Ottawa, to meet with other politicians such as Irene Mathyssen, NDP Critic for the Status of Women and MP for London-Fanshawe. BPW Canada was part of the NGO delegation to the Commission on the Status of Women at the United Nations in New York in late February 2008. 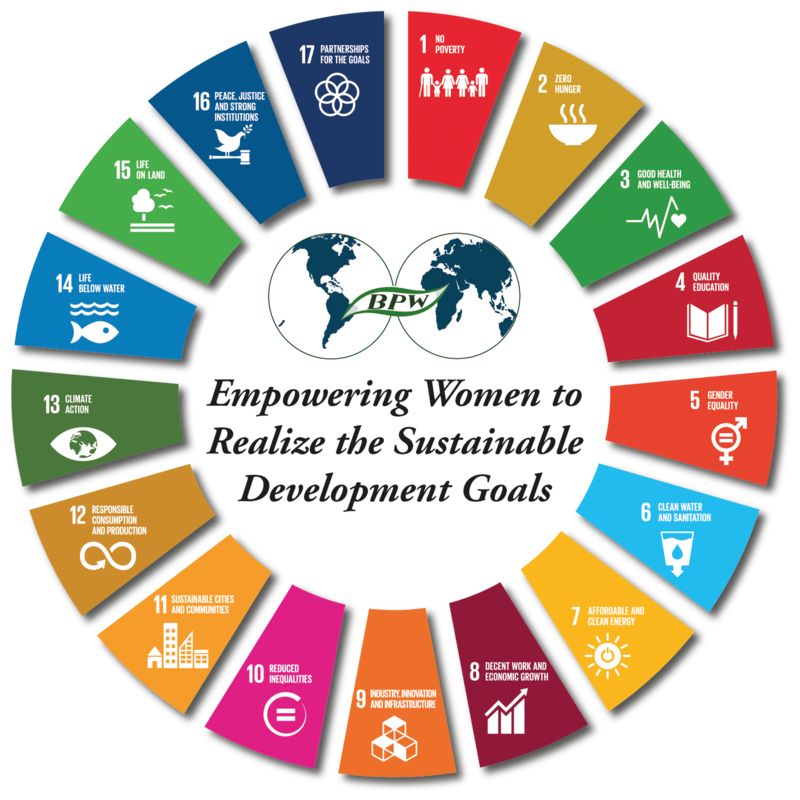 While the Canadian government was giving its progress report to the UNCSW, the federal budget was being released at home. Canadian women’s groups present at the UN issued a joint media release to say that overall, the federal budget released on February 26 was a disaster for women, given its focus on the wealthy. Read more All Words, Little Action, No Money for Women (pdf). 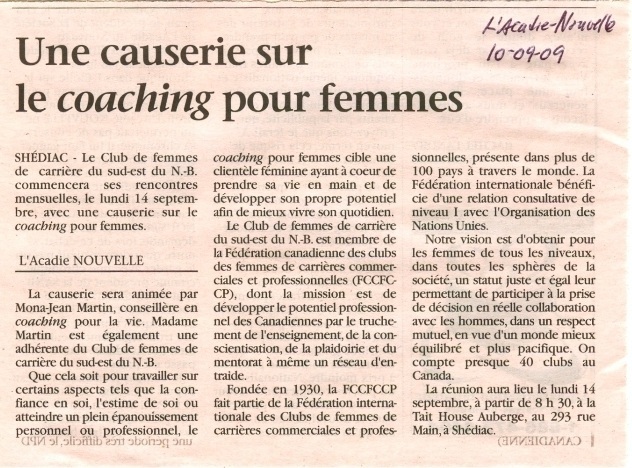 13-08-08 Le Moniteur Acadien (pdf) A Moncton woman becomes President of BPW Canada. Canada's Auditor General has decided to do a performance audit of the federal government's implementation of gender-based analysis between 2000 and 2008, taking into account the Convention on the Elimination of all Forms of Discrimination Against Women and Optional Protocol and the Canadian Charter of Rights and Freedom. The Auditor General will reportedly study the government's action plan for advancing equality for women, see whether there are clear responsibilities, resources allocated, and will evaluate the management, activities and performance indicators. After an AG audit, the departments usually produce an action plan to address the recommendations, and the public accounts committee ensures the action plans are specific; then, the AG does a follow-up audit. The AG’s audit will be completed in April 2009. Changes to the budget and mandate of Status of Women Canada (SWC) made headlines throughout the fall of 2006 and early 2007. The budget was slashed by $5 million (40%), and 12 of 16 regional offices were slated to close on April 1st. The word equality was removed from the SWC mission, and groups doing advocacy and research became no longer eligible for funding. In December of 2006, BPW Canada sent a Brief to the Standing Committee on the Status of Women (pdf) to oppose these changes. 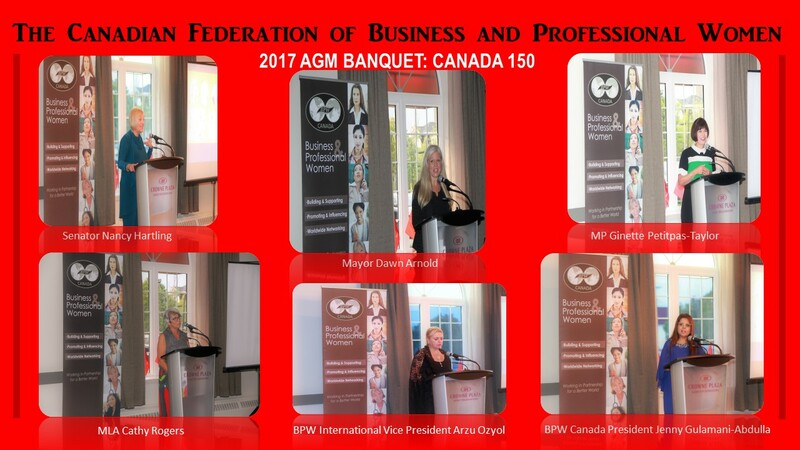 • BPW Canada urged members to write Minister Oda and their MPs. Because of the backlash from equality-seeking women’s groups, Minister Oda reinstated the $5 million, although not to the administration budget. Twelve of 16 offices were closed on April 1, 2007, and staff cut by half. Groups doing advocacy and research are still no longer eligible for funding. BPW Canada, along with other equality-seeking groups, continues to monitor this situation.